Gorgeous beaches, crystal blue sea, and rich tradition. Ideal cruise for friends, couples or families. 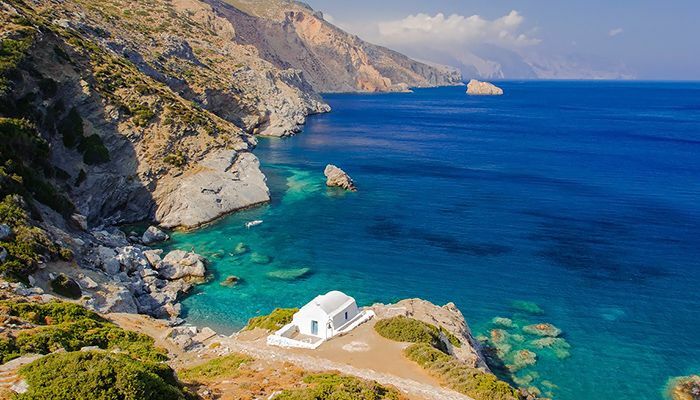 The Cyclades are the most famous island group in the Aegean Sea with some of the most beautiful islands in the world and are the top destination in Greece. 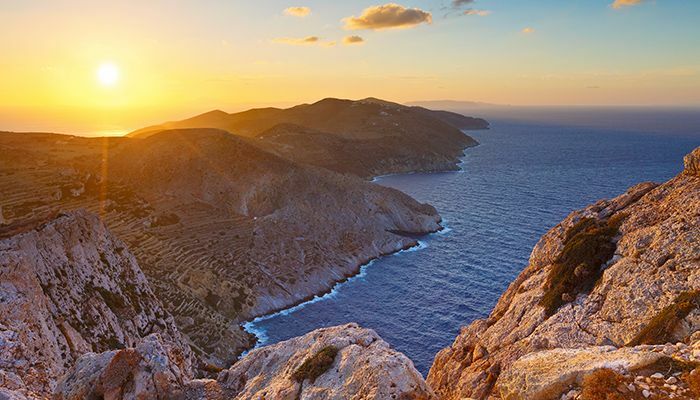 The name “Cyclades” (“The circular islands”) refers to the islands forming a circle around the sacred island of Delos. All these islands provide amazing holiday destinations for romantic couples, groups of friends or families. You will experience gorgeous sandy beaches, crystal clear blue waters, unique architecture, traditional lifestyle, and warm and hospitable people. This route idea is just a suggestion and can be tailored according to your wishes. It is merely an example of the places and destinations you can visit in a single week of your cruise. The cruise begins on Mykonos where you can board your gulet. 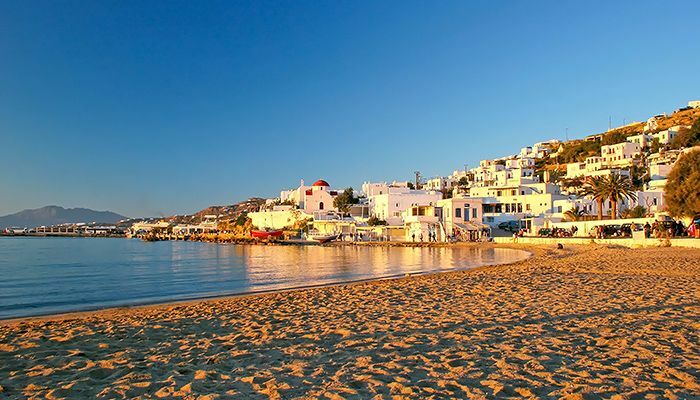 Mykonos is the great glamor island and a whitewashed paradise in the heart of the Cyclades. According to mythology, Mykonos was formed from the petrified bodies of giants killed by the hero Heracles. The island is particularly famous for the cosmopolitan atmosphere, the exciting nightlife, the picturesque Cycladic architecture and the magnificent beaches. It is perfect for people of all ages. You can walk along narrow streets of Chora, swim in exotic beaches or enjoy the night out in bars and restaurants. The island is also a paradise for water sports enthusiasts. The next cruise destination, the small island of Delos, is known as mythological birth place of the god Apollo and goddess Artemis and used to be a religious center for the hole Greece. 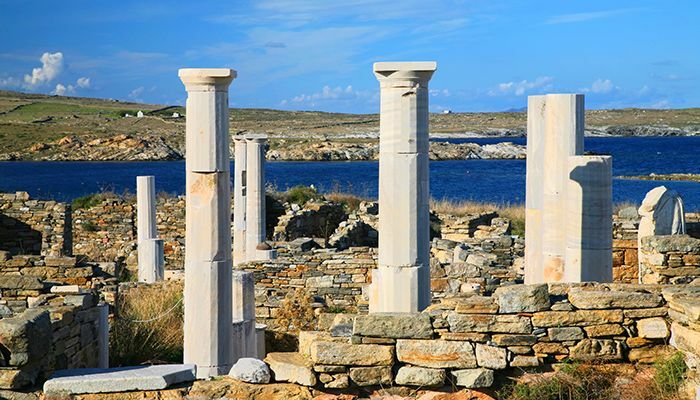 Delos is uninhabited today and is listed as a UNESCO world heritage site where you can admire remarkable ancient monuments and impressive mosaics. The cruise continues to island of Paros in the heart of Cyclades. 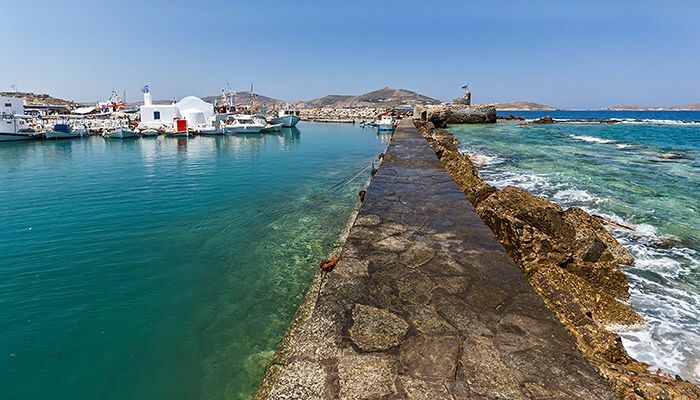 Unrivaled natural beauty, beaches with crystal clear waters, ancient Byzantine footpaths connecting traditional villages and breathtaking landscapes make Paros one of the best loved holiday destinations in Greece. The island is ideal for young people, romantic couples and families, too. The Parian traditional villages are perfect samples of Cycladic architecture, with whitewashed sugar houses, paved streets and blue-domed churches. The beaches are famous for the exotic water and the golden sand. You can also take a trip to the small nearby island of Antiparos with crystal beaches and relaxing atmosphere. 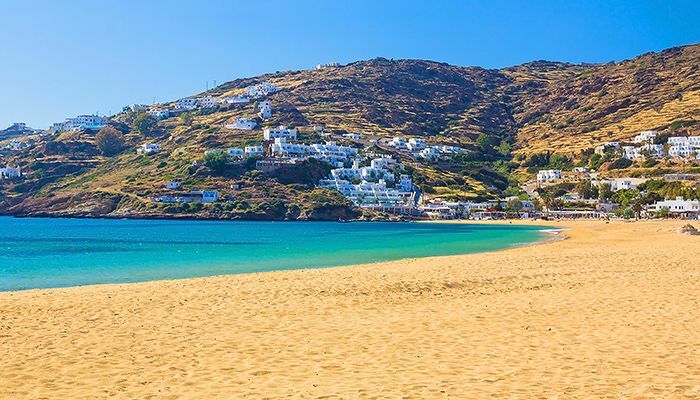 Ios is particularly famous for the wonderful beaches, the picturesque village of Chora and certainly the intense nightlife that attracts mostly younger crowds. The island is the number one party island in the Mediterranean sea, at least during the high season of July and August. However, Ios is also a great place to relax away from the large crowds. There are places in Ios where families with kids can spend a relaxing holiday. The coastline of Ios has wonderful beaches with soft sand and emerald waters. You will also love walking along the narrow paved streets of Chora, one of the most picturesque villages in Cyclades, and enjoy a breathtaking view of the sea. Next, you cruise further south to the island of Santorini, also known as Thira, that is one of the most romantic Greek island destinations. Crescent-shaped Santorini island was the site of one of the largest volcanic eruptions in the world and what remains today is a submerged volcano and a caldera. On the edge of this caldera, some amazing villages were constructed with unique Cycladic architecture and breathtaking view of the sea. 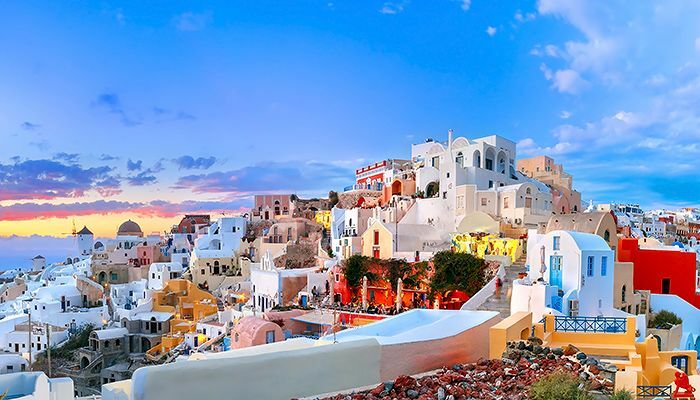 Santorini is a very special experience for its still active volcano and romantic sunsets. Schinoussa is a small and remote island in the center of the Aegean sea in the vicinity of the Naxos, the largest of the Cyclades islands. Schinoussa with its wild landscape, isolated beaches, and relaxing atmosphere is a perfect place for total privacy and calm vacations. You can enjoy the crystal beaches or take a hike around the island and admire the unspoiled natural landscape, beautiful gardens, exotic palm trees, and sun-kissed beaches that will steal your heart. 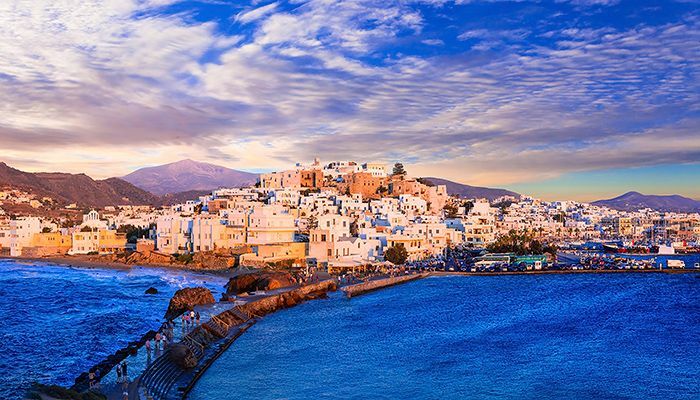 Naxos is the biggest and the greenest island in the Cyclades with impressively high mountains, fertile valleys, lush green gorges, stunning seascapes, and traditional villages perched high on mountain tops. The island is ideal for families and romantic couples. There are beaches that are among the most beautiful in Greece and the entire western coastline is perfect for windsurfing and kitesurfing. Naxos is also an island of beautiful old churches, monasteries and Venetian castles coexisting harmoniously with traditional Cycladic cubic houses. 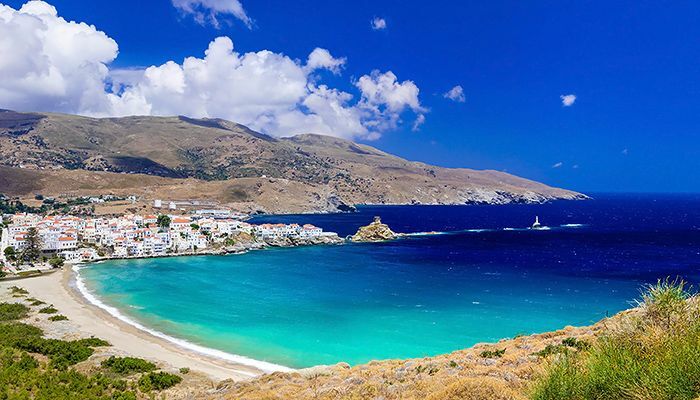 Before you conclude the cruise on Mykonos you can also visit a small now uninhabited natural island of Rineia to discover ancient temple ruins and swim at beautiful secluded beaches in a turquoise Aegean sea.